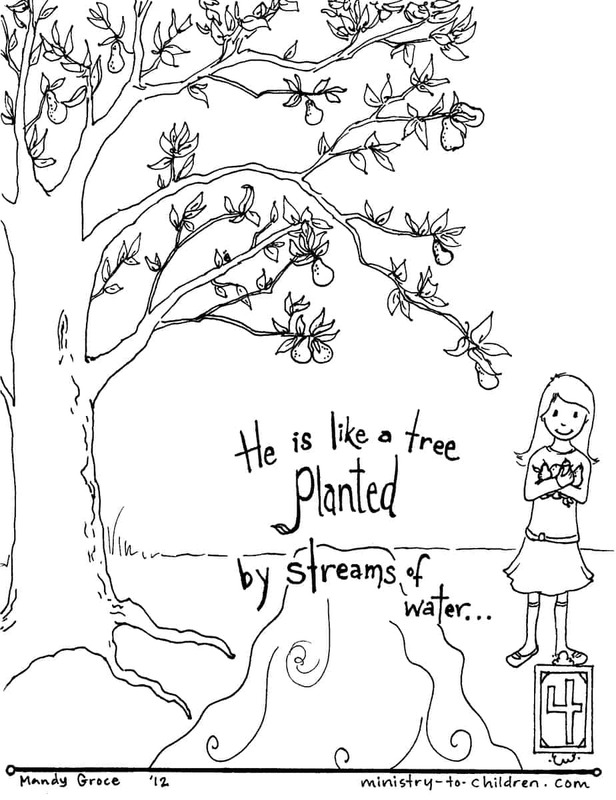 This is the fourth page in our free Psalm One Coloring Book. This sheet illustrates the third verses of this scripture passage. 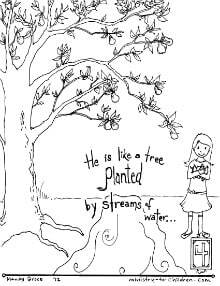 “He is like a tree planted by streams of water that yields its fruit in its season, and its leaf does not wither.” This continues the biblical description of the blessed person. The life of the righteous is constantly nourished by God’s Word and in turn produces good things. Download all 8-pages in one PDF document (1 MB) or edit for yourself in the WORD document (4 MB). You are viewing page four click on the preview image to download only this coloring sheet. Use the links below to browse each individual Psalm 1 coloring pages. To download this coloring sheet as a printable PDF document, simply click on the preview image on the right. We have also uploaded the same illustration as a JPEG file for advanced users to customize. Tony Kummer (Editor) reviewed & updated this page on : February 14, 2019 at 9:07 pm. All our content is peer reviewed by our readers, simply leave a comment on any post suggest an update.